In 2013, Brandon and his wife Sydney settled their roots in rural Lunenburg County Virginia, just miles away from his childhood home. At an early age, Brandon was fascinated with the land and timber of southside Virginia. He comes from a family background of tobacco farming in Lunenburg County and is the fourth generation of a sawmilling operation in Brunswick County. An avid sportsman, Brandon often spends his free time hunting, fishing, and exploring new areas with his three Labrador Retrievers. Brandon spent his younger years riding around in his grandfather’s pickup truck tending to tobacco, beans, or planting pine trees. As a young adult he assisted his family at their sawmill, still harboring his love and interest for land and timber. Brandon obtained a Forestry Technology Degree from Dabney S. Lancaster Community College in Clifton Forge, Virginia. He is a member of the 147th Lumber Inspection Class with the National Hardwood Lumber Association in Memphis, Tennessee. Lastly, he obtained his Bachelor of Science in Forest Resource Management from West Virginia University. After years of purchasing timber for the sawmill and managing his family’s land, Brandon found a new love for real estate. Although new to the real estate world, he brings years of timber buying, overseeing logging operations, calculating the values of land and timber. 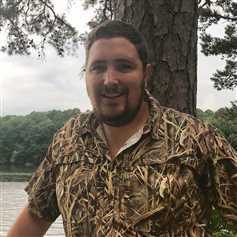 Brandon has a strong connection with farmers, timber consultants, and loggers in the southside Virginia area.